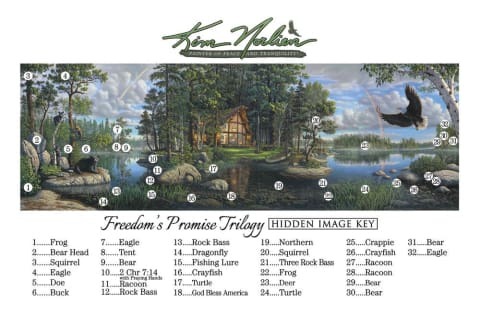 "Freedom's Promise Trilogy" is an art print, released in 2012. The print is a combination of three distinct paintings from Kim Norlien. "On Eagles Wings", "Freedom’s Promise" and "The Guardian" are featured in this print.